The nineteenth century was a time of great change socially as well as practically and many of the leading industrialists of the day were as concerned with their workers’ living conditions as they were with profit making. They constructed “ideal” housing for their staff that took many out of slums and gave them space and light for the first time. But the accommodation came at a price. Workers were expected to live their lives outside work in a way that pleased their employers and were often coerced into taking part in activities that might not otherwise have been their choice. 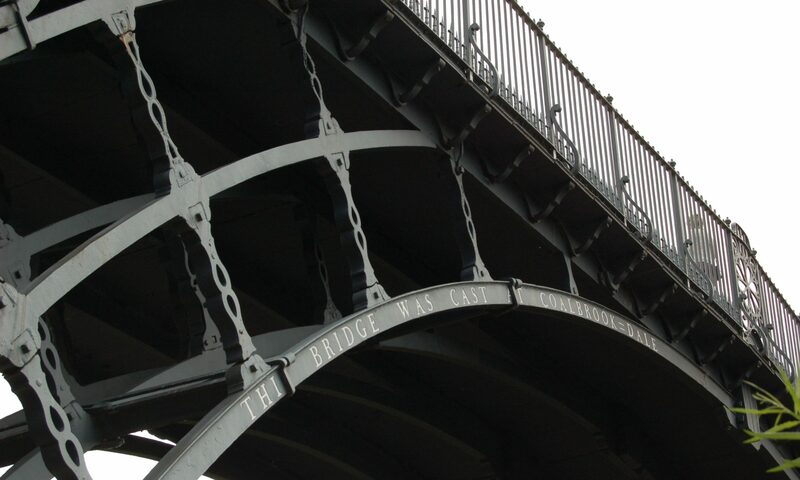 The first of the great industrial villages was built by social improver and mill owner Titus Salt (1803-76) who named his waterside development after himself and the River Aire, which flowed close by – Saltaire. 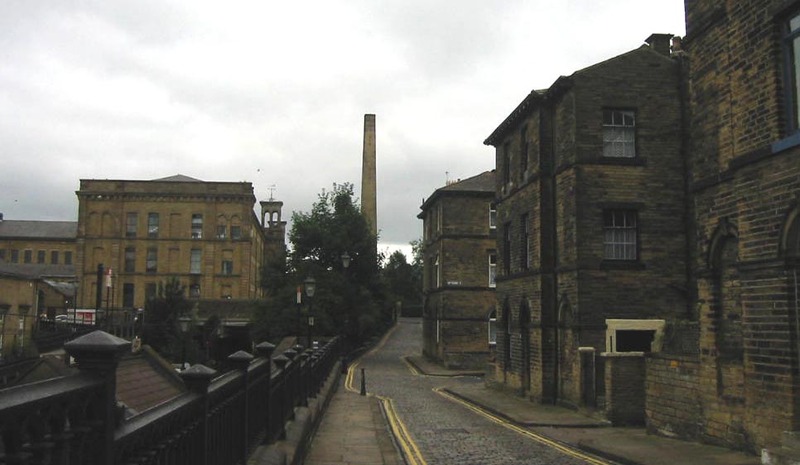 Terraces of Italianate homes were constructed near his five-storey mill next to the Leeds Liverpool Canal. The estate was paid for from Salt’s profits after he developed a method for spinning alpaca goat wool. The mill itself was opened in 1853. The village was begun in 1851 and rapidly grew into a “model village” which, by the 1870s, had a church, hospital, baths and school. Central to the village was the Saltaire Club and Institute which, like the rest of the settlement, was strictly tee-total. It included a reading room, libary and lecture hall. Bournville is perhaps the best known of the industrial villages because the suburb of Birmingham is still the home of Cadbury’s chocolate. The Quaker Cadbury family had developed their business because they were staunch supporters of the Temperance Movement and offered chocolate drink as an alternative to strong liquor. 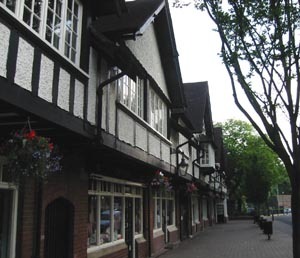 The village was begun in 1879 after the brothers moved the factory from the city centre to a pleasant, rural setting south west of Birmingham. By 1904 it had a baths and 10 years later had a concert hall, playing fields and a village green. South of Birkenhead on Wirral, Port Sunlight was developed from 1888 by the Lever Brothers, to house employees at their soap works. Compared with housing in the area at the time the homes had generous proportions, and they were equipped with bathrooms. The houses were attractive gabled properties set around squares. The heart of the village is a magnificent, tree-lined piazza with rose beds and fountains, the centre piece of which is the Lady Lever Art Gallery. This elegant Palladian structure with its Ionic columns and a glass dome at each end is a stark contrast to the sturdy mock-Tudor terraces that surround it. The gallery houses an eclectic collection of 18th and 19th century art works covering painting, sculpture, bronze casting, ceramics, furniture and needlework. 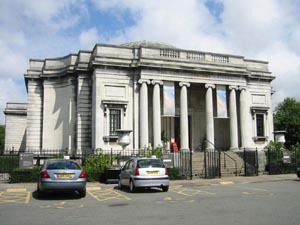 **Throughout this site there are photographs taken at the Lady Lever Art Gallery and used with kind permission of Liverpool Museums.